For the sports fan, hope is crucial. Hope is what makes the game worth seeing and what brings everything out of the fans. It spurs on fans to believe in even the most unlikely of events. However, hope for a sports fan can be so incredibly destructive as Manchester United fans learnt this mid-week after a morale-crushing defeat at home against PSG. 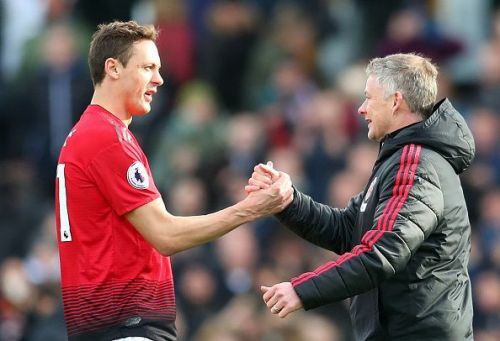 Hope among the United fans was high after caretaker manager and club legend, Ole Gunnar Solskjaer led the club to an 11-game unbeaten streak to start off. With talisman Cavani and star forward, Neymar missing as well for PSG, United fans believed they were favourites. They seemed to have forgotten that this PSG team even without the missing players was still a world class side, a blend of youth and experience. Any team with Kylian Mbappe is a dangerous side to play and after watching this game, one thing became clear and that is he is absolutely rapid. I don't think I have ever seen a faster player. He is destined to win the Ballon d'Or one day. But can you blame the fans for being wrapped in joy and forgetting the difficulty of the challenge ahead? No, you cannot. Till 2 months ago, the Red Devils were languishing at the 6th spot, 11 points behind the top 4 and the fans weren't even thinking of PSG. They'd given up two whole months before the fixture. Now with a stunning recovery, and in somewhat Tyson Fury in the 12th round vs Wilder fashion, they've returned out of nowhere and find themselves back in the top four, something which Jose Mourinho claimed would 'need a miracle' to happen. The Portuguese wasn't wrong however; the change that Solskjaer has brought to the team is nothing short of a miracle. More than results, he brought back hope among the United fans. Hope, something they can cling on to even when things don't look good, something Mourinho had lost. This is why the job Solskjaer has done is so important. He brought back confidence in the United lineup, maybe too much of it, which is why the result against PSG was not in the Old Trafford outfit's favour. This result is a reality check not just for the players but also the fans and the Norwegian himself. Solskjaer is still a tactically raw manager prone to errors which is okay because he is growing but fans must give him time to adapt to the job, grow and learn from his mistakes. The players must realise a good string of results does not mean they're invincible and must instead motivate themselves even further for the Chelsea game, the Liverpool game and the second leg against PSG. One loss, however, shouldn't drop their morale so low that they forget that they have the ability to defeat anyone. Lastly, for the fans, it is imperative that they do not swing like pendulums just because of one game. The excitement has returned and they must keep that going because this is a different team to the one we saw two months ago. Scrolling through Twitter feeds, I realised how disappointed the fans sounded after the loss to the Parisiens which is actually a good sign in my opinion. One is only disappointed if they have great expectations and the simple fact that so many fans expected United to win shows that Ole has brought back parts of vintage United. He himself put it correctly when he said, "We are Manchester United and we are going to try and win every game." The biggest club in England doesn't put 11 men behind the ball like Mourinho would have. Now all that is left to be seen is how he brings his team back from that loss with two key fixtures coming up. Injuries to Martial and Lingard are surely something to be concerned about. However, the team must move on and put their best foot forward. The fans should also be hoping for nothing less than a dominant Manchester United display in their upcoming game against Chelsea in the FA Cup. Can Ole Gunnar Solskjaer be Manchester United’s version of Zidane?